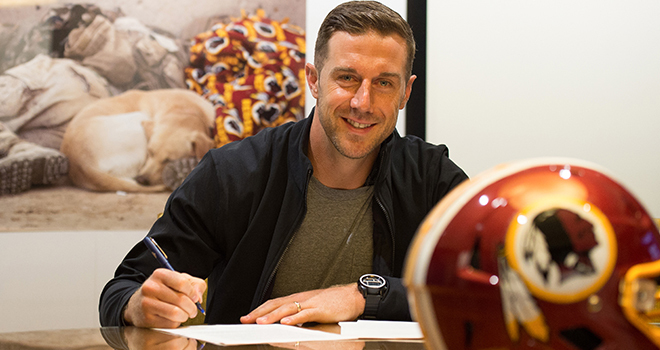 Last month the Washington Redskins traded the Kansas City Chiefs for quarterback Alex Smith giving up cornerback Kendall Fuller and a third-round pick in the 2018 NFL Draft. Alex Smith is 33, three times chosen for the Pro Bowl and he took the Chiefs to the playoffs four times. He certainly has an impressive record but the Redskins still need a good backup quarterback. Did they get that in the draft last week? No. Day 3 saw the ‘Skins bring a couple of Hokies home: nose tackle Tim Settle and cornerback Greg Stroman played together at Stonewall Jackson High School in Manassas, and again at Virginia Tech. Now they’re Redskins teammates after getting drafted in Rounds 5 and 7, respectively. See all eight of the Skins’ draft picks here. The Redskins schedule for this fall isn’t too terribly bad, mostly we play the toughest teams at home with the exception of the Eagles and Dallas, two good teams we have to play both at home and away. But I can’t help but wonder, why don’t we get to play the Cleveland Browns? And why is our ‘Bye Week’ always so early in the season? It’s nice to see the Skins again playing on Thanksgiving even if it does wreak havoc trying to schedule dinner around the game.